Code signing is at a crossroads. In many enterprises, the traditional approach remains standard procedure: you purchase a code-signing certificate, download it, and deploy it locally for all your code-signing needs. When carefully managed, this approach can still be very effective in guarding against malware. But recent events have shown that many companies are finding it a challenge to manage their code signing certificate deployments—and failures in certificate management can have serious consequences. 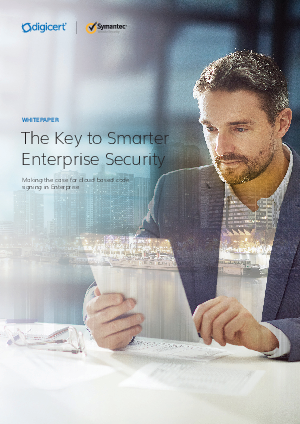 To discover how our Secure App Service solution can help you manage your codesigning efforts and provide enterprise-level support, all at a predictable cost, download this whitepaper today and find out more.